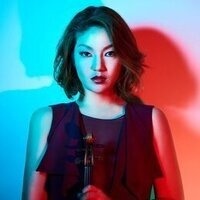 Come experience the dazzling artistry of Jinjoo Cho, winner of the 2014 Indianapolis International Violin Competition, as she opens UT's annual Violin Festival. Performers reserve the right to change their program without notice. Not all programs are determined prior to the performance. To view programs that have been set, click here. All events are subject to change. For updates or cancellations, check the School of Music concert line at 865-974-5678 the day of the event.